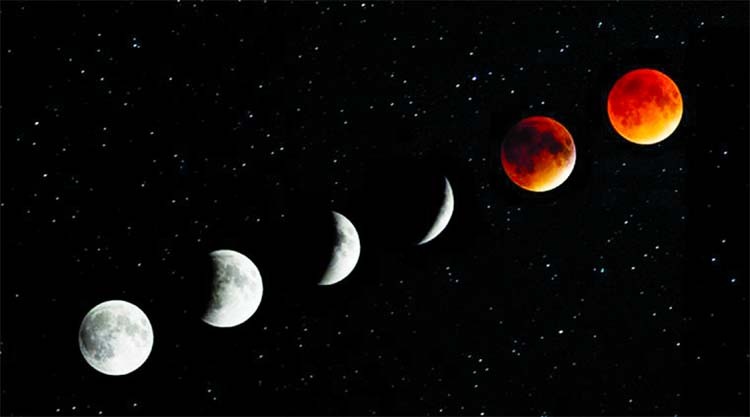 Chandra Grahan or Lunar Eclipse: Why we call it the Blood Moon Eclipse? Chandra Grahan or Lunar Eclipse: People from all across the globe had their eyes set at the moon as it turns a blood red orange behind the Earth’s shadow for over an hour and 43 minutes. Yes, the month of July was all set to end with a unique celestial coincidence - the longest Lunar Eclipse of the 21st century - giving astronomy lovers a golden opportunity to catch a glimpse of the rare occurrence. The eclipse played out simultaneously over the night sky in the final hours of July 27, and the early hours of July 28. The spectacular event followed the Super Blue Blood Moon that played out on the night of January 31 across many parts of the world this year. While this event may not seem as dramatic in comparison, the moon was observed in hues of scarlet red. As the moon falls into a position directly behind the Earth, thereby blocking the direct sunlight, it will acquire a reddish hue. This phenomenon is called a Total Lunar Eclipse. During its orbit, the moon is to be at its furthest distance from the Earth, making its revolution around the planet seem slower than usual. What’s more, it was also fall under the region over which the Earth casts its shadow, called the Umbra. This phenomenon is popularly known as Blood Moon Eclipse because the moon reflects red light off its surface. The name describes the phenomenon of Rayleigh scattering. Any interference in the way of a beam of light scatters the rays and reflects different colours. The scattering of light was the same consequence that makes skies blue and imparts an orange tinge to it during sunset. In fact, if the same spectacle was seen from the surface of the moon, the sun could be seen setting behind the Earth, enveloping it in a glowing red shade. Once the moon leaves the Earth’s shadow after the partial and penumbral eclipse phase, it will go back to its regular, white colour.